Vessel Flyer 550 named Aillats has been built in 2013. We offer this boat from base Eivissa in the surrounding area of Ibiza. Aillats is licensed for 2 passengers. Layout of the boat is 2. Flyer 550 Aillats is equipped with 1 cabins. With engine 115 HP Aillats can sail really fast. Aillats is 5.50 meters long and 2.40 meters wide. Draft is 0.80 m. You can see more search results by navigating to the section Motorboats Eivissa. Yacht's equipment includes : Bimini top. . Deposit is 800.00 EUR. Choose our offer and enjoy your holidays on the deck of Aillats. 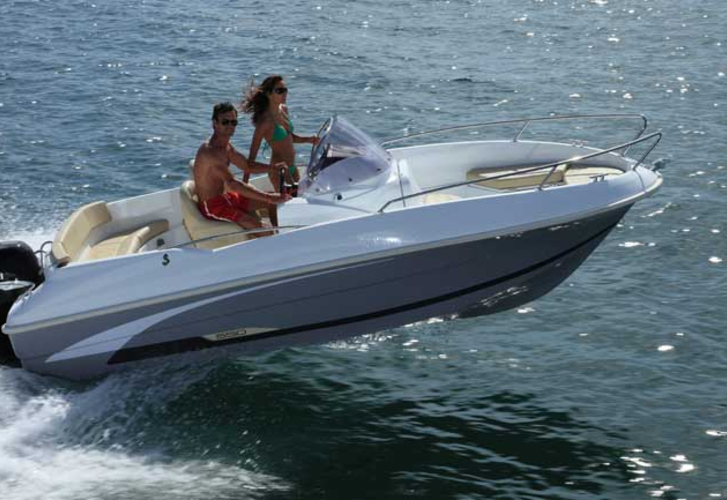 This Flyer 550 from Eivissa from Balearics Analyze following this link: Motorboats Balearics.